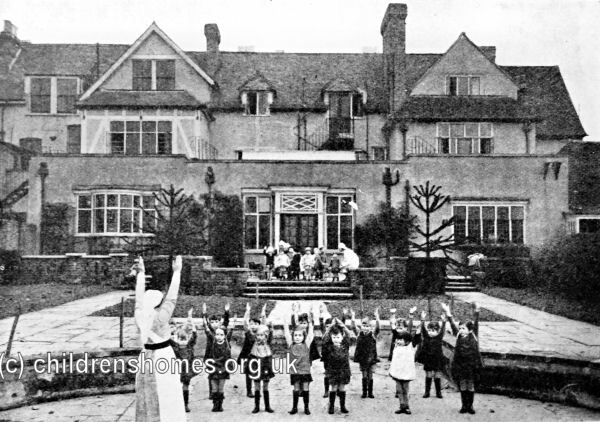 The Cleevedon Toddlers' Home was established by the Children's Aid Society (CAS) in 1935 at Tennison Road, South Norwood, London SE25. The Home was divided into Junior and Senior sections: number 16 Tennison Road was for children up to the age of three years, while number 18 was for those from three to five years. After the Second World War, the premises became home to the Anchorage maternity home, originally founded in 1878 as the Anchorage Mission House in St John's Wood. Still run by the CAS, the home now accommodated unmarried expectant mothers, and babies under two years of age. In 1966, the unit was taken over by the Barnardo's organisation. In 1977, the home was converted for use as a mixed hostel. The property no longer exists and modern flats now occupy the site.